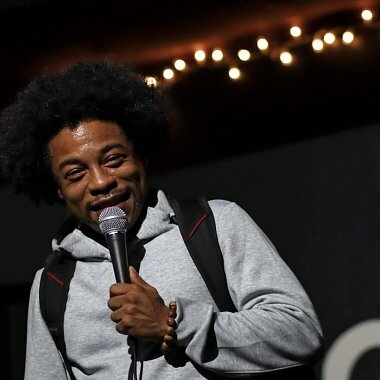 A night of laughs with stand-up comic Freddy Sheffield. Born and raised in Brooklyn, Freddy is a seasoned stand-up comedian that has also enjoyed success on stage as an actor in theater and film. He has performed all over NYC at clubs such as Caroline’s on Broadway where he opened for Michael Che. He received great reviews in a production of “Black Eagles”, a story about the Tuskegee Airmen at The Paul Robeson Theater in Brooklyn. Freddy has also appeared in a few indie films and web series and continues to grow as an artist and entertainer. He is warm and personable, with a dynamic range and is amazing to watch. This program is presented in collaboration with PLG Arts and is made possible by a grant from the Charles H. Revson Foundation.